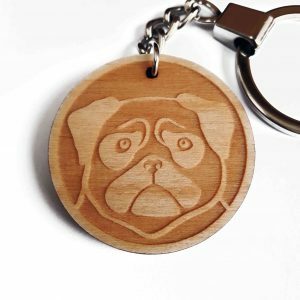 A Pug notebook, featuring Miss Peggy Sue! My Pug notebook is handmade, and features the adorably grumpy mug of Peggy Sue the Pug! 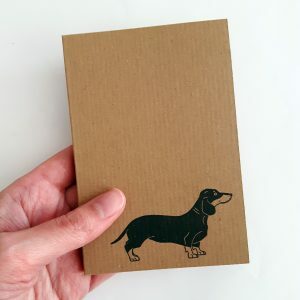 I hand print Peggy Sue onto each notebook cover, using a custom stamp created from my original artwork. 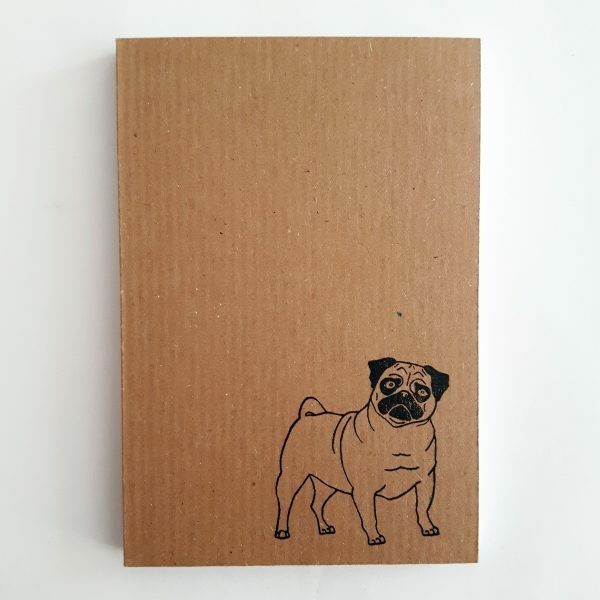 This cute Pug notebook would be the perfect small gift idea for a dog-loving friend, or just a sweet treat for yourself! 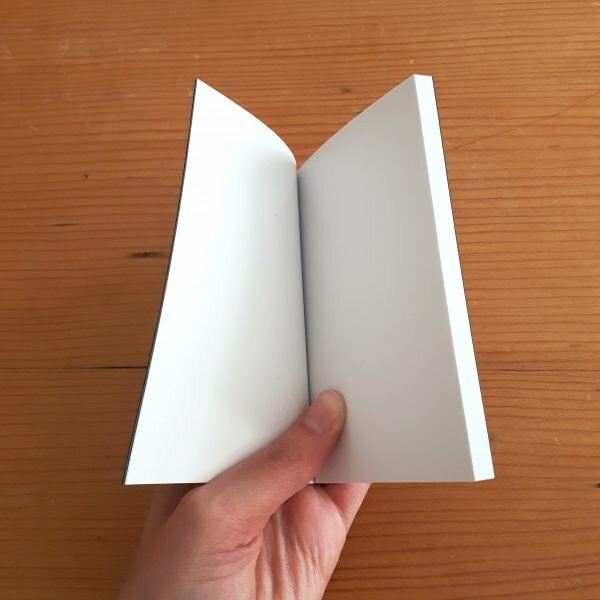 The pad is made from 100% recycled, eco-friendly paper, and is passport-sized (12cm x 8.2cm), fitting easily in your handbag or pocket. 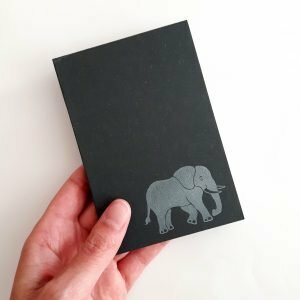 Each pad has a ribbed kraft cover and contains approximately 60 plain, unlined sheets – perfect for lots of notes, lists, and doodles! 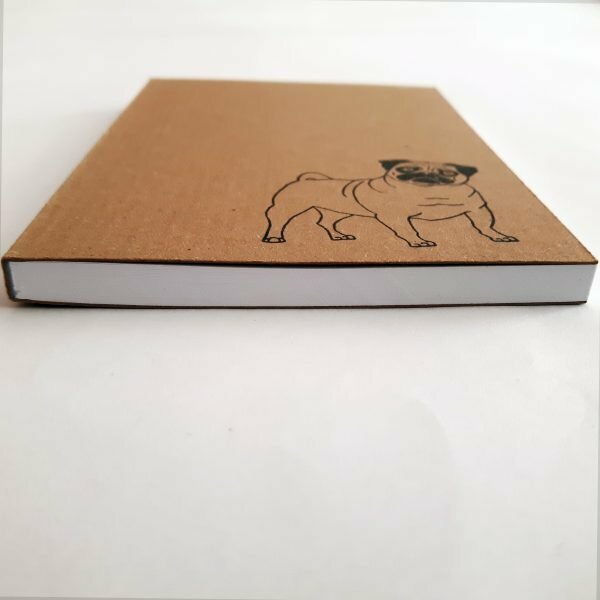 Need more Peggy Sue in Your Life? 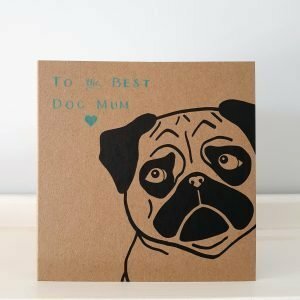 And who could blame you! Check out her very own section of my shop. 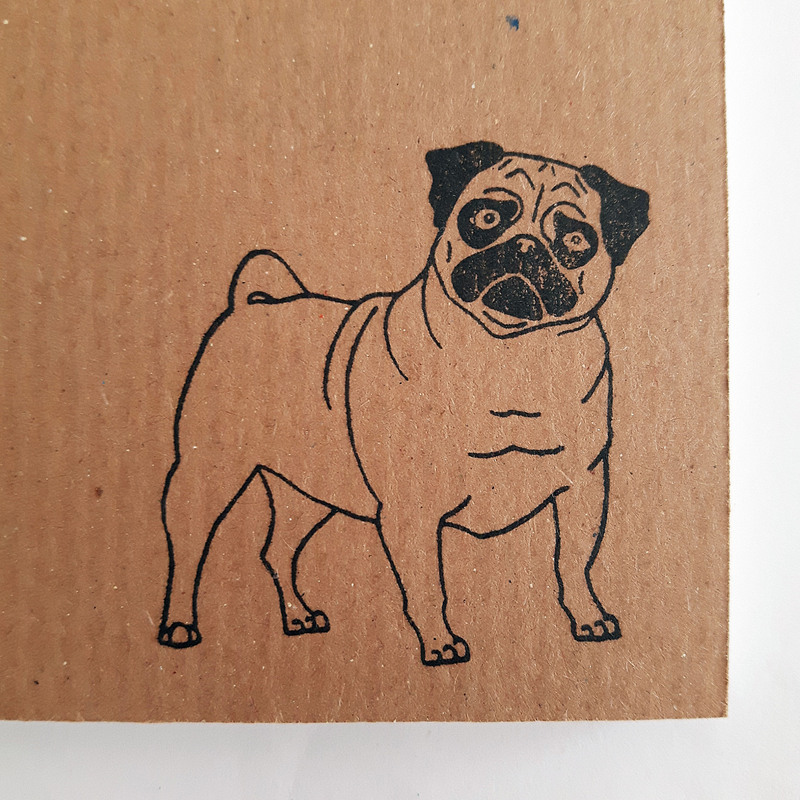 And if that’s not quite enough Pug for you, have a look at Peggy’s Puggy friend, Pedro, too!